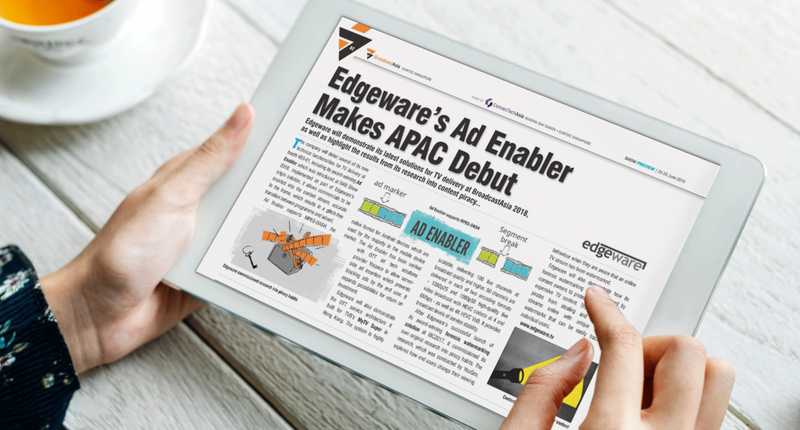 Edgeware will demonstrate its latest solutions for TV Delivery at BroadcastAsia 2018, as well as highlight the results from its research into content piracy. The company will debut several of its new technical functionalities for TV delivery at booth 4B3-01, including its award-winning Ad Enabler which was introduced at NAB show 2018. Read more in the BroadcastAsia Show Preview!